Kim A. Eagle, M.D. Dr. Eagle is the Albion Walter Hewlett Professor of Internal Medicine; director of Clinical Quality for Cardiovascular Medicine; director of the Frankel Cardiovascular Center; and professor of Health Management & Policy, School of Public Health. Read more about Dr. Eagle. David J. Pinsky, M.D. Dr. Pinsky is the J. Griswold Ruth MD & Margery Hopkins Ruth Professor of Internal Medicine; professor of Molecular & Integrative Physiology; chief of Cardiovascular Medicine; and director of the Frankel Cardiovascular Center. Read more about Dr. Pinsky. Richard L. Prager, M.D. Dr. Prager is professor of Cardiac Surgery; head of the Section of Adult Cardiac Surgery, Department of Cardiac Surgery; and director of the Frankel Cardiovascular Center. Read more about Dr. Prager. Thomas W. Wakefield, M.D. Dr. Wakefield is the Stanley Professor; head of the Section of Vascular Surgery, Department of Surgery; and director of the Frankel Cardiovascular Center. Read more about Dr. Wakefield. Stefanie L. Peters, FACHE, MPA, LMSW. Ms. Peters is the Chief Administrative Officer of the Frankel Cardiovascular Center. Read more about Stefanie L. Peters. James C. Stanley, M.D. Dr. Stanley is the Marion and David Handleman professor of Vascular Surgery at the University of Michigan Medical School and founding director of the Frankel Cardiovascular Center. Read more about Dr. Stanley. 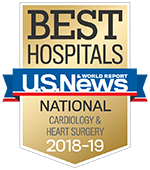 The National Advisory Board of the Samuel and Jean Frankel Cardiovascular Center is committed to helping the center promote the understanding of how cardiovascular diseases develop, and how they can be diagnosed, prevented and treated.